中 means 'center' and 国 means 'country'. 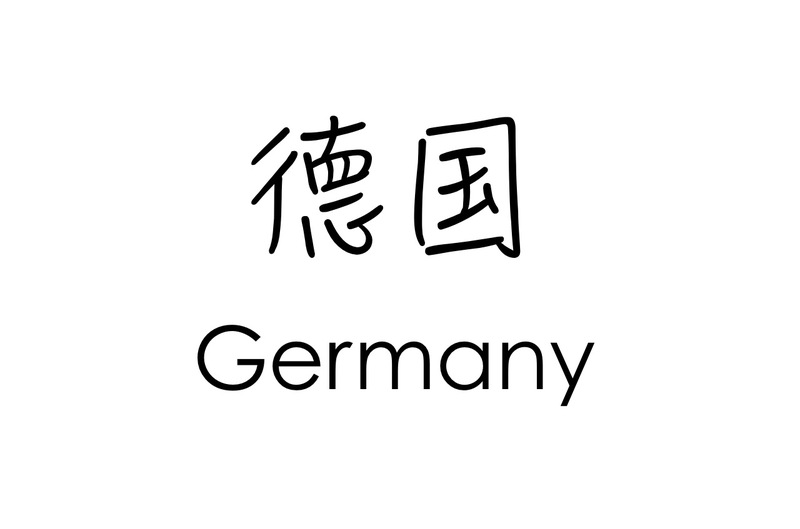 The most common way of translating this name is Middle kingdom, it is however not entirely correct. The term 中国 originally referred to kingdoms (plural) on the central Chinese plain in Ancient China that were collectively related to each other through the same Ancient Chinese culture and related languages. Equally, they were labeled Central kingdoms as opposed to the barbarian states and nations around them. Only later the name shifted from Central kingdoms to Middle kingdom. 日 means 'sun' and 本 means 'root, origin'. The origin of the sun. 黑 means 'black' and 山 means 'mountain'. Montenegro in English means Black mountain. 獅子 means 'lion' and 山 means 'mountain'. Sierra Leone in English means Lion mountain. Characters for these names of these countries are chosen so that they are phonetically close to the pronunciation of the country name in English or occasionally other languages. They are however not related to the name of the country through meaning. Additionally, Chinese has only about 300 - 400 syllables and the pronunciation does not always match perfectly. Respectful or neutral characters are chosen. 3. Names that are a mix of 1. and 2. The full name of Indonesia in Chinese is 印度尼西亚 (Yìndùníxīyà) which is just a phonetic transliteration of the name Indonesia with the characters having no meaning relation to the name (Although one could argue that 印度 stands for India, which is the real origin of the Indo- part of the name Indonesia). 印度尼西亚 is however too long and since it is a very frequently mentioned country, it was shortened. Two characters from the name 印度尼西亞 specifically 印 and 尼 were chosen and the country Indonesia is called 印尼 in Taiwan. With the character 美 'pretty' chosen respectfully from the name 亚美理驾 and the character 国 'country' added as the second character. The name 美国 thus effectively means 'pretty country' as well. With the character 德 'virtue' chosen respectfully from the name 德意志 and the character 国 'country' added as the second character. The name 德国 thus effectively means 'virtuous country' as well. With the character 法 'rule, law' chosen respectfully from the name 法兰西 and the character 国 'country' added as the second character. The name 法国 thus effectively means 'country of law' as well. Democratic People's Republic of Korea 朝鲜 cháoxiǎn ? A fine and useful list. Thank you!